Umesh Kumar Tilak Yadav (born 25 October 1987) is an Indian cricketer who currently plays for Vidarbha cricket team and Indian national team. A right-arm fast bowler, Yadav has played for Vidarbha at domestic level since 2008 and is the first player from the team to have played Test cricket. He made his One Day International (ODI) debut against Zimbabwe in May 2010. The following year, in November, Yadav made his Test debut against the West Indies. He was the highest wicket taker for India in the 2015 ICC Cricket World Cup. In the Indian Premier League, he plays for Kolkata Knight Riders, a franchise owned by Bollywood superstar Shah Rukh Khan. 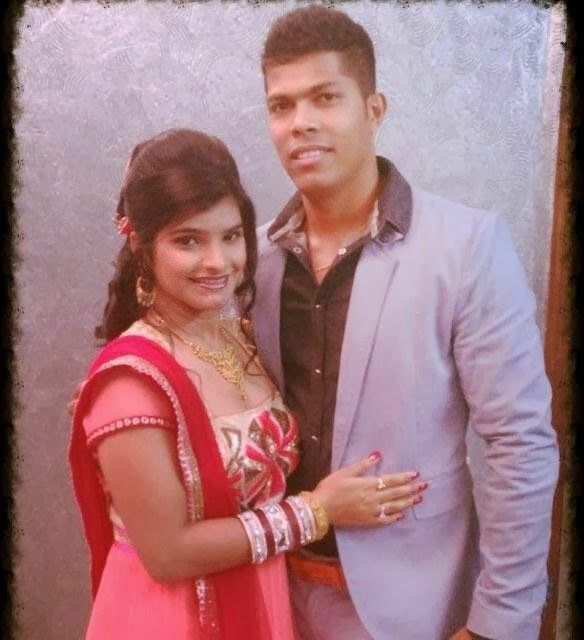 Before becoming a professional cricketer, Umesh Yadav unsuccessfully applied to join the army and the police force. In 2007–2008, having previously only ever played tennis ball cricket, Yadav began bowling with a leather ball and joined Vidarbha, an unfashionable team in the Plate League of the Ranji Trophy. Pritam Gandhe, Vidharbha's captain, supported Yadav and ensured he represented Air India in a twenty20 tournament. Of Yadav's early career Gandhe remarked "He was raw and wayward. But he was really quick – too quick. I thought that if he lands at least three out of six balls in line with the stumps, he will trouble batsmen." On 3 November 2008 Yadav made his first-class debut for Vidarbha against Madhya Pradesh in the 2008–09 Ranji Trophy. His first wicket was that of Himalaya Sagar who was out bowled; Yadav did not bowl in Madhya Pradesh' second innings, but in the first claimed four wickets for 72 runs (4/75) as his team lost by ten wickets. He played in four of Vidarbha's Ranji matches that season, taking 20 wickets at an average of 14.60 with best figures of 6/105. Also in the 2008/09 season, Yadav made his one-day debut. From playing for Vidarbha, Yadav was selected to represent the Central Zone in the Duleep Trophy in his first season. Bought by Delhi Daredevils in 2008 for $30,000, Yadav made his debut in the Indian Premier League in 2010, taking 6 wickets in as many matches at an average of 30.66. The income from the IPL auction meant Yadav could pay for the family home to be extended. On 16 April 2013, Umesh got engaged to Delhi-based fashion designer Tanya Wadhwa, and they were married on the 29th May 2013. 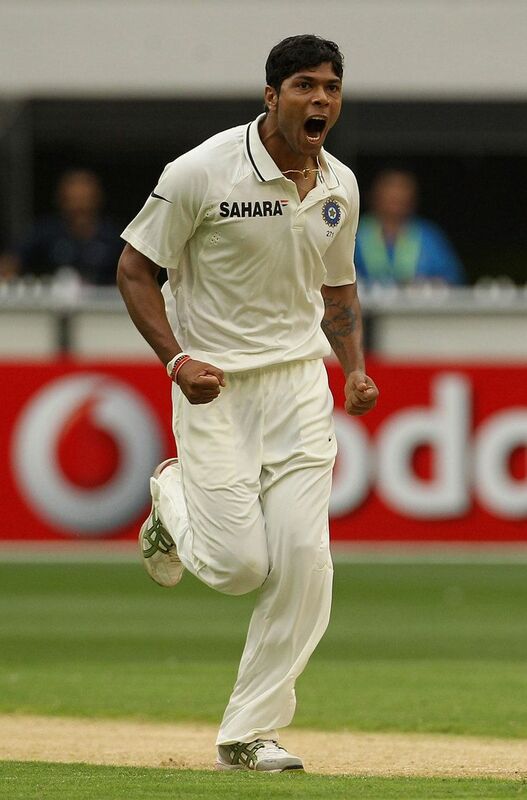 Umesh Yadav was picked for the ICC Champions Trophy 2013 and played an integral role in securing India's victory. Umesh Yadav slowly became the leader of the pack until he was dropped from the squad for the India vs. Australia ODI series 2013. Umesh Yadav returned to the ODI squad for the tour of South Africa but after poor displays he was dropped after the series but picked in the test squad. In May 2010, Yadav was called into India's squad for the World Twenty20 in place of the injured Praveen Kumar, but did not go on to play in the tournament. Later that month, he was included in the squad to play a tri-nation ODI series in Zimbabwe against the hosts and Sri Lanka. India sent an under-strength squad with nine first-choice players either rested or injured. Yadav made his ODI debut in the tournament during India's loss to Zimbabwe, a team ranked tenth by the ICC at the time. Defending a score of 285, Yadav bowled eight wicketless overs while conceding 48 runs. Playing in three matches, Yadav took a single wicket. After the tri-series in Zimbabwe, Yadav returned to the fringes of the team. He was included as a practice bowler when India toured Sri Lanka in July to gain experience of bowling to Test batsmen. He would have to wait until October 2011 before his next international match. After India toured South Africa in December 2010, Yadav was left out of the national squad. In the player auction for the 2011 Indian Premier League, the Delhi Daredevils bought Yadav for $750,000. However he managed just two wickets from seven matches, while conceding 169 runs at over 9 per over. Yadav returned to the national set-up in September 2011 for a five-match ODI series against England. An injury to his left hand meant Yadav missed the last two ODIs. At times expensive though regularly fast, he managed four wickets at an average of 38.25 from three matches. When the West Indies toured in November 2011, the Indian selectors opted to change the team's fast bowlers. 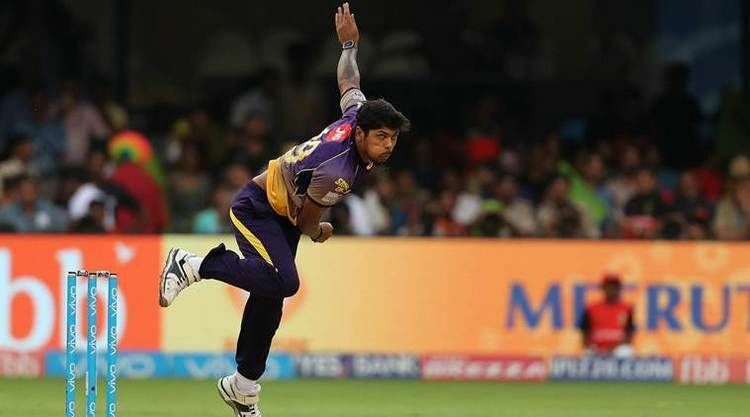 Sreesanth and Praveen Kumar were left out of the squad and Yadav and Varun Aaron were chosen based on their performances in the ODIs against England earlier that year. Yadav made his Test debut in the first match and opened the bowling alongside Ishant Sharma in the first innings, though failed to take a wicket. In the second innings the spinners opened the bowling and Yadav took two wickets for 36 runs (2/36) to help India to a five-wicket victory. Yadav was the first cricketer to play for Vidarbha who went on the play Test cricket. India also won the second Test, and Yadav finished with nine wickets in the series, the most amongst India's fast bowlers and less than half the total of either of the team's spinners. In the five-match ODI series that followed, he managed six wickets at an average of 24.33 from three appearances. Yadav was selected as one of India's pace bowlers for their tour of Australia in 2011–12. He played in all four Tests, taking 14 wickets at an average of 39.35 as India lost the series 4–0. In the third Test at the WACA Ground in Perth, he took his first five-wicket haul in Test cricket, with figures of 5/93 in Australia's first and only innings. In the triangular ODI series with Australia and Sri Lanka that followed, Yadav managed 5 wickets from 6 matches at an average of 59.80. At the 2012 Indian Premier League held in April and May, Yadav finished as the fourth-highest wicket-taker in the tournament with 19 dismissals from 17 matches at an average of 23.84. Yadav is fit, strong, quick, and gets the ball to swing late. More importantly, he attacks the stumps, and doesn't wait for edges. Eleven of his 21 Test wickets have been bowled. Another has been lbw. Five matches is a short career for a bigger statistical analysis, but it is worth mentioning that he takes a wicket every 39.2 balls. It is not at large odds with his overall first-class strike-rate of 46.8. Attacking the stumps also leaves less control on the run flow, which shows in his economy rate of 4.24 in Tests. He was quite impressive. He bowls at good pace. He seems to have a great attitude and most importantly, he's a wicket-taking bowler. Perhaps, the direction and control are not there quite yet, but it's not far away. He's got that raw talent, good pace and can generate good bounce. He's got a lot going for him at the moment. In IPL 2015 his fastest ball is at 150.1km/h making him the third fastest bowler of the tournament. "It's not often that you see an Indian seamer outpace and outbowl his Australian counterparts but the spell that sealed the deal for India in Dharamshala did just that. 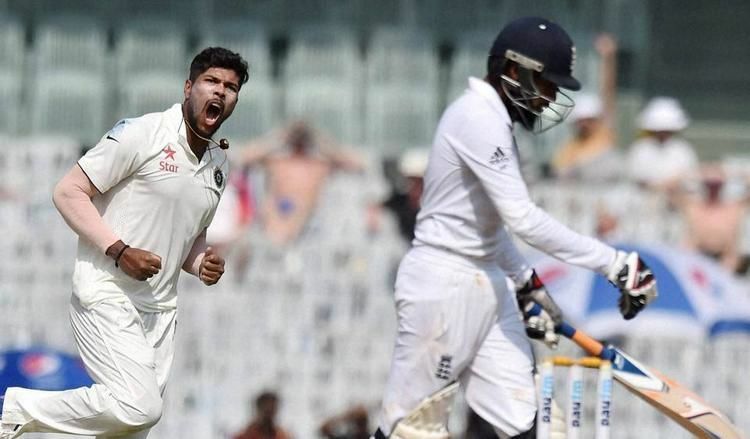 Umesh Yadav bowled with a lot of steam on the third day pitch and dismissed both openers before half the lead was wiped out. There are certain spells in Test matches that leave an indelible mark on one’s memory and his spell in Dharamshala will go down as one of them."